Need a speaker for your organisation? The Hampshire Astronomical Group has amongst its members, a number of skilled speakers who are willing to make themselves available for booking for your event or organisation. You will find a short CV and list of topics they are willing to cover in their talk/presentation as well as the distance they are willing to travel to provide their talk. 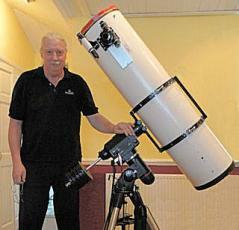 Chairman of Hampshire Astronomical Group. 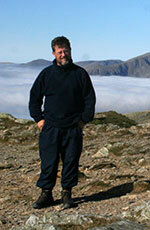 Member of the BAA and elected a Fellow of the Royal Astronomical Society in 2014. Retired from the University of Portsmouth. Initially a chemist, undertook research into reaction mechanisms. Ran a spectroscopy laboratory and lectured in computational chemistry and programming. Latterly moved into computer systems management. Offers mentorship to final year BSc Students from the University of Portsmouth whilst they are undertaking final year projects related to astronomy or the equipment at the Clanfield Observatory. Member of the observatory instrument team and also the training team which offers training on the use of all the telescope facilities at the observatory. Gives regular talks to the Hampshire Astronomical Group including "Constellation of the Month" as well as talks on specific interest areas such as astronomical spectroscopy and individual astronomical observatories. Gives frequent talks at observatory public open evenings. An example of some of the talks that can be given. All talks are aimed at the general popular introductory level. More technical talks can be provided upon request. If any organisation requests anything different from the above list, this can be provided. Elected a Fellow of the Royal Astronomical Society in 2010. Retired from the NHS, lectured to Student Nurses and Social Workers throughout nursing career. Produced many specialised courses for Nurses, Pharmacists, Doctors and other health professionals during NHS career. Has been involved in astronomy for 50 years. Has offered mentorship to final year BSc Mathematics Students from the University of Portsmouth whilst they are undertaking their final year astronomy project at the Clanfield Observatory. Also teaches on the astronomy course at the Clanfield Observatory and offers one-off sessions to Scouts/Guides/Cubs/Brownies as well as many adult interest groups at the observatory. Is a part time planetarium show presenter at the South Downs Planetarium in Chichester. Over the last several years has been the astronomer and aurora guide on a number of arctic tours to Iceland and Norway. Frequently visits and gives talks to interest groups such as General Public meetings, other astronomical societies, U3A, Probus, Stroke Association, Rotary, after dinner talks and talks to many other local community groups. Examples of some of the talks that can be given are listed below. All talks are aimed at the general popular introductory level. More technical talks can be provided upon request. The 21st Century Amateur - What do Amateur Astronomers Do? Astronomical events that have effected Human History - from art, history to warfare.